It's been a week now since I returned from my whirlwind two-week trip to India--inclusive of visits to Delhi, Varnasi, Udaipur, Jaipur, Agra & Dehra Dun--and I'm still processing much of what I experienced on my first trip to this fascinating country. I'd heard so much about India but until you actually see for yourself the unbelievable colors, the cows in the streets, the extreme mix of wealth & poverty and meet the people who call India home, it's nearly impossible to understand what life is like in this part of the world. India is a confusing destination to put into words, if only for the sheer organized chaos that greets you at every turn. Cars share the roads with mopeds, bicycles, pedestrians, cows, goats, dogs, elephants. Cities and towns are crowded with impromptu street festivals, traditional markets, street vendors blending with the locals trying to get from point A to point B. All of this aside, it is a beautiful destination and images of Udaipur (the lake city), Jaipur (the pink city) and the Taj Mahal are forever engrained in my memory bank. There's simply too much to write about in one simple post...my experience in Delhi alone will comprise a separate future post. From the Oberoi Delhi to the Aman New Delhi (Aman's first city hotel!) to The Imperial and the Taj Mahal hotel, each property offers unique selling points...as does the city itself. And then there's Jaipur, Udaipur & Agra...elephant polo, shopping for handmade clothes and gems, visiting forts and castles, seemingly endless Indian feasts! More on all that to come soon. My absolute favorite part of the trip was the weekend I spent at Ananda Resort and Spa in Dehra Dun. Located in the Himalayan mountains just outside mystical Rikishesh, Ananda is a former Maharaja residence-turned-ultimate health and wellness retreat. While here, you can immerse yourself in Indian/Ayurveda-focused spa treatments & cuisine, yoga, meditation, and life-changing Vedanta seminars...or you can enjoy chilling by the spa pool in your Kurta pajamas (given to each guest on arrival for use during the stay) while resident peacocks casually stroll by. Extra nice touch: Morning wake up calls take the form of knock on your door at a pre-arranged time accompanied with a steaming pot of fresh ginger lemon tea. The centerpiece of Ananda is its 24,000 square-foot spa offering nearly 80 variations of body/mind/skin treatments with a blend of modalities incorporating Tibetan, Ayurvedic & Asian techniques. My personal favorites included a four-handed Abhyanga massage, a Reiki and crystal energy session, a rose and honey facial, and the signature Ananda fusion treatment. And of course, I loved the early morning yoga classes and the late-afternoon meditations in the Palace. An incredible selection of Ayurvedic, Indian and international dishes is offered in the mountainview main dining room, and guests fully wanting the most out of the "wellness" experience can choose an entirely Ayurvedic menu (following a private session with the on-site Ayurvedic doc to determine whether you're a Pitta, Vata or Kapha personality & body type). According to Ayurveda everything is made out of the five elements of air, space, fire, water and earth, including our bodies. The three body types are a combination of these - Vata constitutes air and space - Pitta is made up of fire and water - and Kapha is water and earth. While at Ananda, your treatments and menus can be customized to best suit your body, soul and mind. A weekend at Ananda was indeed the perfect antidote to the bustling pace and chaotic way of life we experienced elsewhere in India. Dehra Dun is an easy, hour-long flight from Delhi and is an incredible way to end a multi-city, fast-paced India experience. I only wish I'd had a few more days but know Andanda is a place I will definitely return to again. Contact us for more details on planning a visit to India and Ananda Resort & Spa by phone at 310.979.9036 or email stacy@elitetravelinternational.com. Interesting post on Delhi and surrounding places. 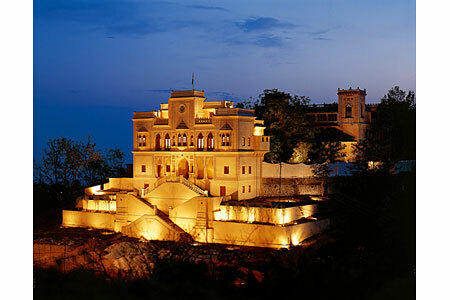 And sure that Ananda Resort and Spa luxury one. By the way, have you been to Amazing Thailand? Will be interesting if you have great post on your experiences. Heading to Thailand in January, can't wait! It's been years since I've been there, really looking forward to a return visit! Above sharing all being task news look for really wonderful. It through many tour trip news I have catch from here! I have like this site. Stacy, recently I too visited Udaipur and stayed at Ramada resort and spa. The place is amazing with huge palaces converted to resorts and spa.